I learned on Thursday that I won a 2013 McKnight Artist Fellowship for Writers, administered by the Loft Literary Center. Five $25,000 awards are presented annually to accomplished Minnesota writers and spoken word artists. I couldn’t be more thrilled – the general validation is wonderful (“accomplished writers”); but to be more specific, my fellowship submission included the opening pages of my unpublished novel Albert Park: a Memoir in Lies. It’s a book I very much believe in and I’m very happy that it impressed the judge, who read all the submitted works, all of which were anonymized. So the decision was based only on my writing, my idea about this crazy pathological liar (unreliable narrator). I was not judged based on who I am or am not . The wonderful value of blind reading is great! 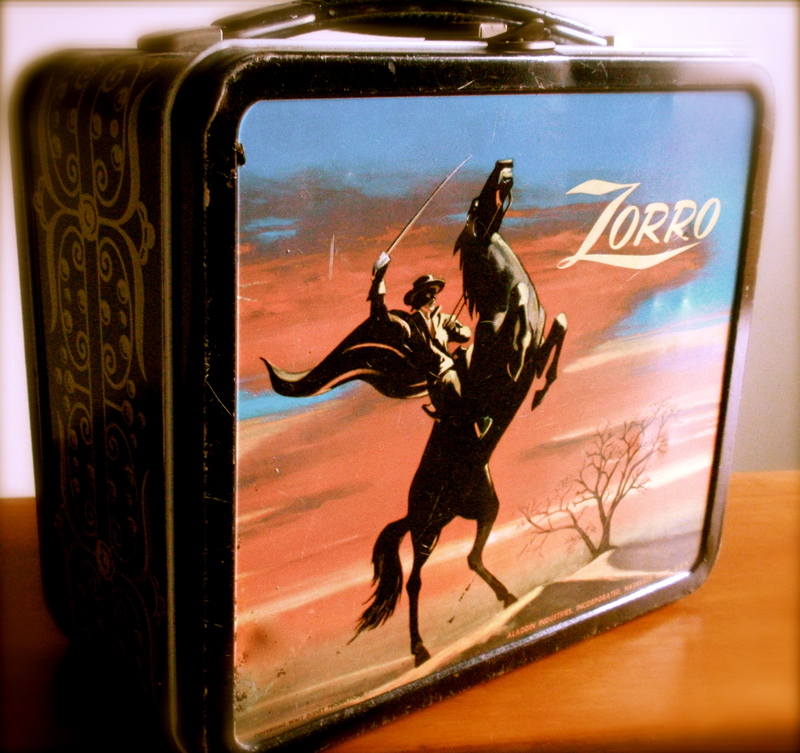 The Zorro lunchbox pictured at left figures into Albert’s ‘story’. As I was writing the book, I began to collect some of the objects that appear in the book. They have a special power in the process of making the story. I’ve never done this before -gathered little objects like this- though I’d heard other writers do this. Frankly I thought this sounded kind of demented. But somehow Albert demanded it. He’s kind of demented. I hope one day that the book sees publication so others can hear Albert’s story. I’m looking forward to my fellowship year. ← Wonder what it’s like to work with a literary agent?